Living with Amazon and thriving in times of change. Not a day goes by without news of the rise of Amazon and the demise of the rest of us. Commentators are eager to talk up the future of online shopping and the fall of the traditional food markets with everything from the corner shop to the giant supermarkets falling prey to this global phenomena. The good news is that speciality food is growing in popularity. In an article in the USA ‘Food Dive’ online food blog they referred to a Mintel report that showed speciality food sales in the USA had grown 9 times as fast as other food and now accounted for 15.8% of the USA retail food market. 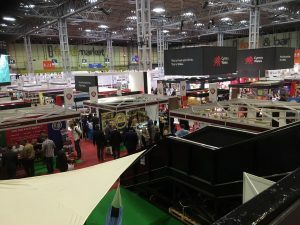 The article went on to demonstrate that speciality food was not now just for the gourmet speciality retailers. The same is true in the UK , the next generation of consumers have more interest in experiences than brands. Increasingly all consumers are looking for forms of personalisation of their food. This could be health related (gluten free, sugar free), ethically related (vegan, palm oil free) or trend related (superfoods, new flavours or ingredients from local or international places). The traditional grocery markets dominated by the supermarkets relied on being the trends setters, controlling supply chains that delivered established brands. They are now under attack from online sources such as Amazon who can undercut on brand price and commodity price. They are also facing discounters who up until now, by avoiding focus on brands, have managed to undercut on commodity price. 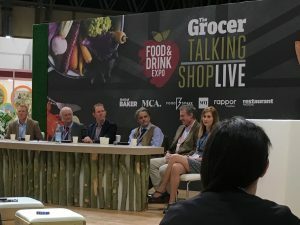 In this time of change, the large UK supermarket retailers are trying to find their place in the new grocery market and Amazon is trying to buy its way in (already got Whole Foods and rumoured to be looking at one of our UK supermarkets) So what are the choices for the fine food sector in the UK? It’s the same as its always been. Protect your provenance, keep up with new trends, know your customers and your suppliers. Be the best at what you do and never fight the giant retailers (including Amazon) on their terms. In the UK we have a growing fine food sector full of truly entrepreneurial ideas. We were fortunate enough to spend some time with Maria Whitehead of Hawkshead Relish this week and saw her Black Garlic Ketchup been bottled. 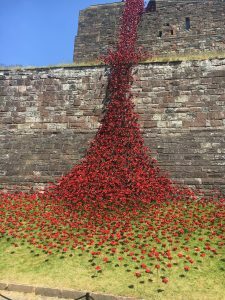 This ketchup has now won numerous national awards and is just one example of the vast array of superb fine food ideas out there. So we as the fine food retailers can bring products like this to an increasingly discerning consumer as they turn their backs on the mass produced brand focused food market of the previous century.